The film remake of the webtoon “Along with the Gods: The Two Worlds” has been sold to 12 countries at the Asian Film Market. The film directed by Kim Yong-hwa is a story about a person’s journey into the afterlife and the judgment faced in seven hells, led by the angel of death. It stars Ha Jung-woo, Cha Tae-hyun and Ju Ji-hoon. A 12-minute highlight reel was screened for buyers at the Asian Film Market to enthusiastic response, according to distributor Lotte Entertainment. “Both the film’s first and second installments were sold to Taiwan, Hong Kong, Macau, Singapore, Malaysia, Indonesia, Brunei, the Philippines, Cambodia, Laos, the US and Canada,” the company said in a press release Wednesday. The Asian Film Market took place from Saturday to Tuesday. 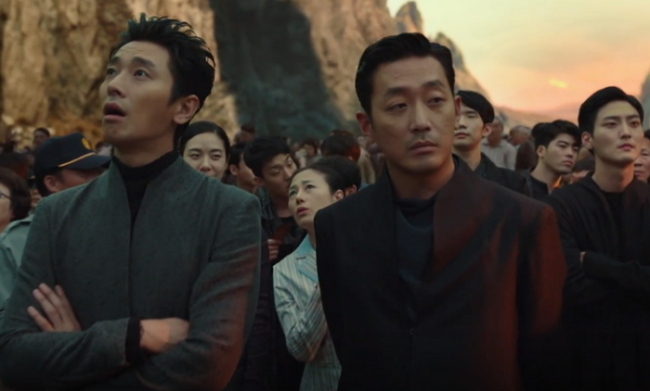 “Along with the Gods” will hit local theaters on Dec. 20.